Another annual LGBTQ sports tournament is celebrating a special birthday this month – the 2017 Second City Tennis Classic turns 30 this year. Participants from all over the world will descend on Chicago for the annual event being held this year during Chicago Pride Week. So mark June 23-25 on your calendar and make plans to visit the Windy City and make it all part of your 2017 Pride celebration. For the second year the tournament is being held at the Midtown Athletic Club in Chicago. It will be an extra special tournament to celebrate Second City Tennis’ 30th birthday bash. 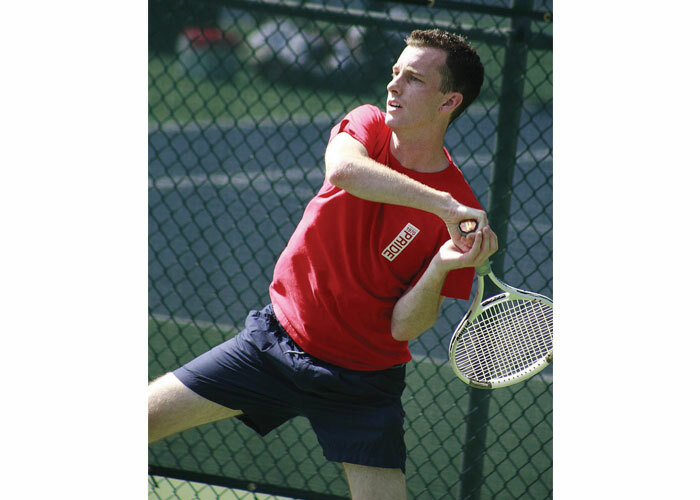 Starting in 1987 SCT began as a small group of LGBTQ tennis players and enthusiasts participating in various local, regional, national and international tennis tournaments, including the Gay Games and the World OutGames. The organization, now grown to over 1,000 members, offers opportunities for everyone to play tennis, ranging from beginners to elite athletes, regardless of their gender identity, sexual orientation, body type, race, religion or nationality. SCT is affiliated locally with the Athletic Alliance of Chicago (AAC) and globally with the International Gay and Lesbian Tennis Alliance (GLTA) that holds tournaments throughout the world during the entire year. The organization not only provides an “open, safe, inclusive space and community that is committed to promoting and developing amateur tennis in the LGBT (Lesbian, Gay, Bi and Transgender) Community,” it also has a strong ongoing relationship with its straight counterpart, the United States Tennis Association (USTA). If you’ve never played tennis before, SCT has teamed up with the USTA for a program called Start/Restart Tennis. It provides new players and players returning to the sport a fun and productive environment in which to develop new skills and become comfortable with match play. There is also a division for beginners who are encouraged to take part by playing against others at their level. SCT offers singles and doubles play throughout the summer and winter in conjunction with the AAC that culminates in the Second City Classic, an annual stop on the GLTA world tournament tour. Athletes taking part in the Second City Classic can get ready for a fun weekend of tennis, hosted dinners and social events throughout Chicago as well as a banquet on the last day to celebrate each other’s accomplishments and close out the tournament in style. And since it’s being held this year the same weekend as Chicago Pride, it will certainly be an event to remember. How’s your fitness level? Here are some exercises to add to your training routine at the gym to get fit for the Second City Classic. * Tennis takes endurance, balance, mobility and power. A strong core helps you develop the skills, power and stamina to move quickly and hit the ball with increased power. * Exercises include: rotating side plank, diagonal chops, twisting wall toss with medicine ball, plank on Fit (or BOSU) ball, bird dog, medicine ball slams, Russian twists. * Having strong balance and posture is key to helping you stay focused on the ball and not tripping over yourself. * Exercises include: 1-legged deadlifts, side lunges on BOSU ball, squats on BOSU ball, BOSU circles, agility ladder drills, Hop Scotch (yes, you heard that right). Develop Power, Speed and Agility. * Your goal is to score a point by hitting the ball where your opponent can’t get to it in time. Your focus will always be on the ball so you won’t see where you’re going. Practicing speed and agility drills will train your body to move quickly and efficiently around the court and you’ll develop proprioception, the instinctual awareness of where you need to go and how to get there. * Training for power can really help develop an unbeatable serve and backswing. A swift and powerful swing starting from your core muscles, through your shoulder, arm and wrist enables you to hit the ball at speeds potentially reaching 90-120mph. * Exercises include: fast feet speed and agility drills, agility ladder drills, speed cone drills, clapping pushups, sit ups with medicine ball toss, ball slams, wall balls. * All this maneuvering and swinging can cause injuries unless you build strength and stability in your shoulders and upper body. * Exercises include: shoulder external rotation, rows.